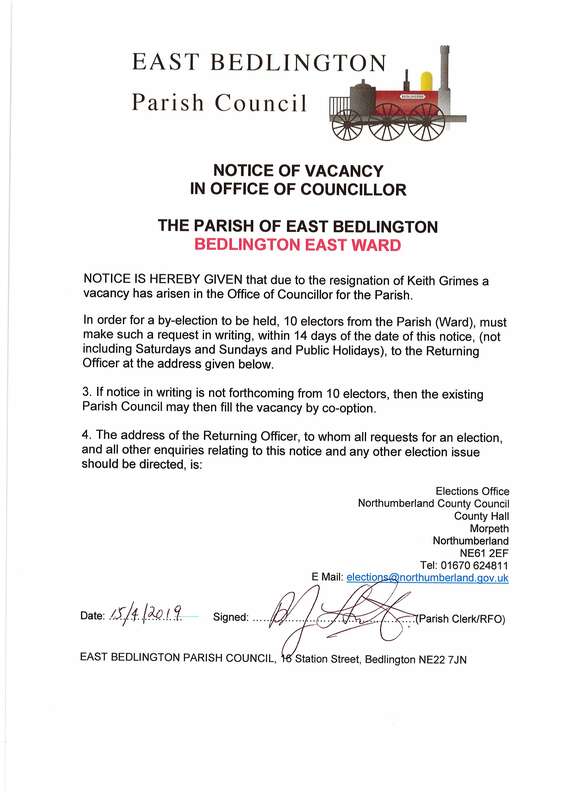 This website introduces you to the small team of dedicated Councillors and staff who make up East Bedlington Parish Council. The Parish comprises the settlements of North Blyth, Cambois, East Sleekburn, East Sleekburn East, Bedlington Station and Bedlington East. For electoral purposes the Parish is divided into two wards, Bedlington East and Sleekburn. We strive, together with partners and agencies, to improve the quallity of live for those living and working in East Bedlington and to act as a strong voice for residents and local businesses. We are committed to driving forward regeneration whilst preserving and celebrating our rich heritage. INTERESTED IN INVESTMENT THROUGHOUT BEDLINGTON? 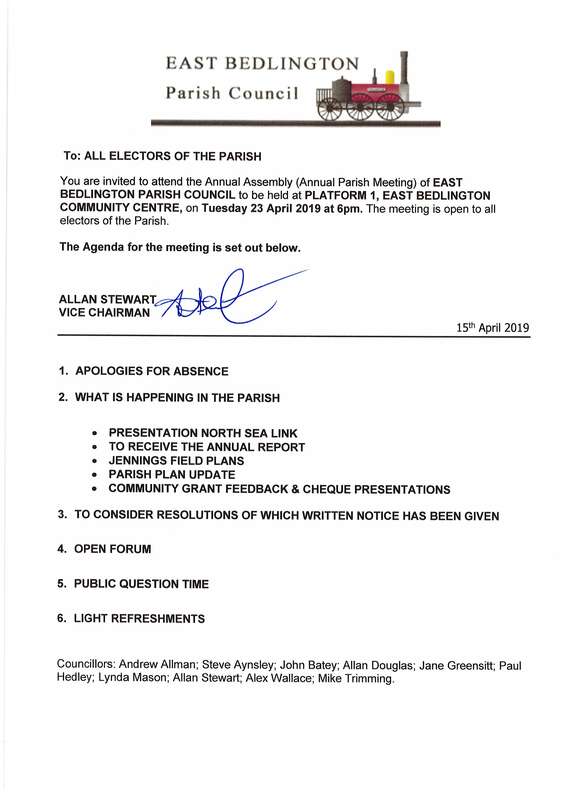 Next Meeting of the Parish will be the Annual Assembly (Annual Parish Meeting) held on Tuesday 23 April 2019, 6:00pm, Platform 1, East Bedlington Community Centre.